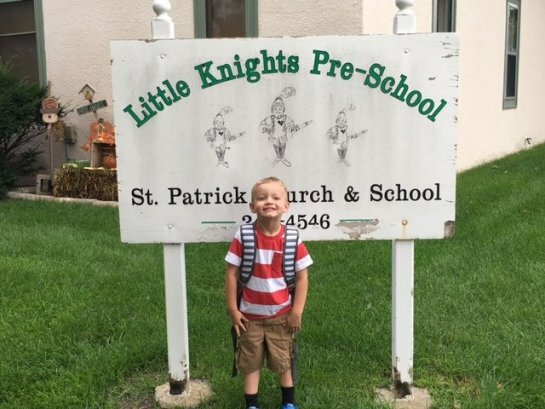 We had a big week in our house...Mr. Grayson started Toddler Pre-school! I have to say I'm not sure who was more upset the first day - his brother or his mom! He went twice this week and is loving every minute with his new teachers and his new friends. So Mr. Colton and I get to spend some quality time together for a little bit each week (- it won't be long before he will get to go to school too!) We've also had some NEW fun things arrive this week so let's check it out! September 13th: Mystery Ladies Night - Woolie ladies welcome! We have decided to feature a favorite item each month with our Sew Blessed Spotlight! 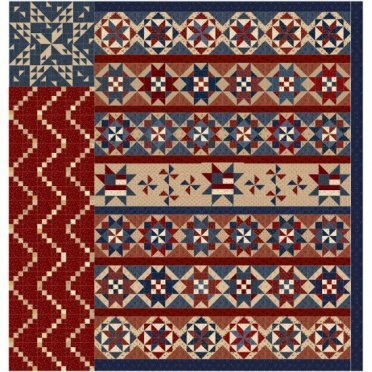 This month we are featuring the Homestead Gatherings fabric line for $8.99/yard. 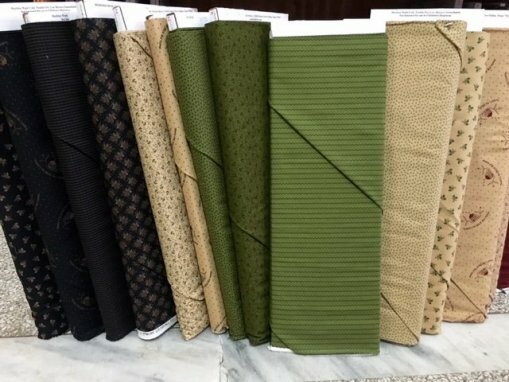 You can find these fabrics in store or under the Sale category on our website. 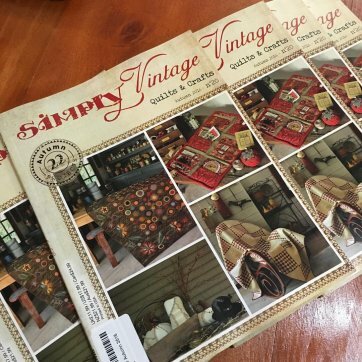 Perfect to sew up something primitive or stash it away for a rainy day! It's not to late to join us for this beautiful Block of the Month - two spots are still available! For those of you who are signed up, you can stop in and start picking up your kits anytime. This project comes in two versions a pieced and an appliqued. 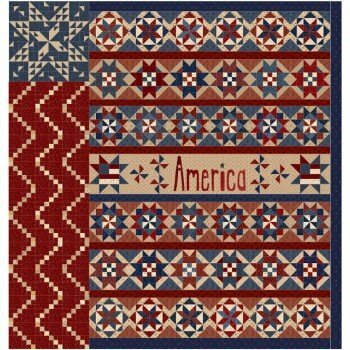 It also features gorgeous reproduction fabrics by Pam Buda! If you are interested in joining us please give us a call 308*344*9389 or stop by the shop and visit. 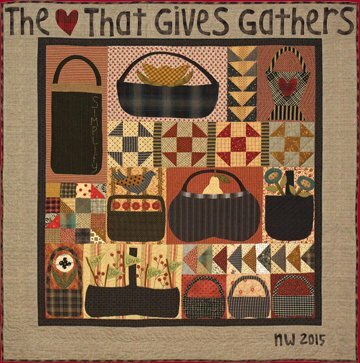 This project will be a pieced top with wool applique finishing at 48" x 48". Each month you will applique a block and piece a block! Kit & ruler needed for class. Woolie girls - tomorrow is your day! Meet in the 3rd floor training room at 10:00. Bring a project and a friend! 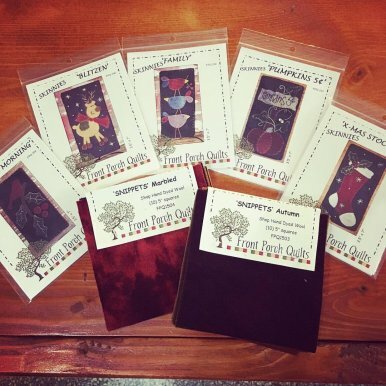 We have some darling NEW wool charms and patterns to show you! Just a photo of the toddler pre-school BIG boy...I can't wait to see how much he grows and changes this year! Melts my heart! Have a fabulous weekend - don't forget to get some sewing therapy in!